Columbia wanted an email campaign to help promote the new Columbia spring women’s line, as well as invite more social interaction. 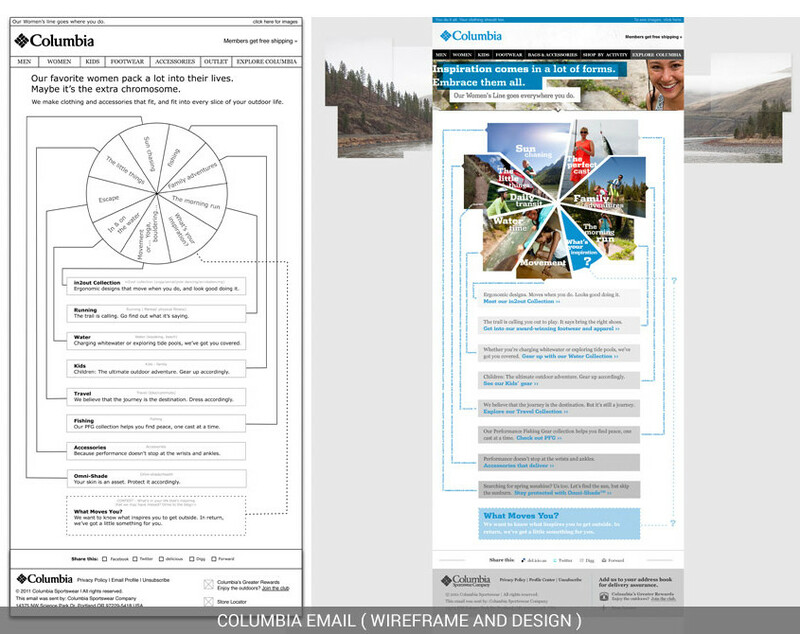 We added an additional “hot spot” in one of the “pie slices” that linked to a post on the Columbia Blog page. There, the customer was offered an incentive to give opinions about the new women’s clothing line. 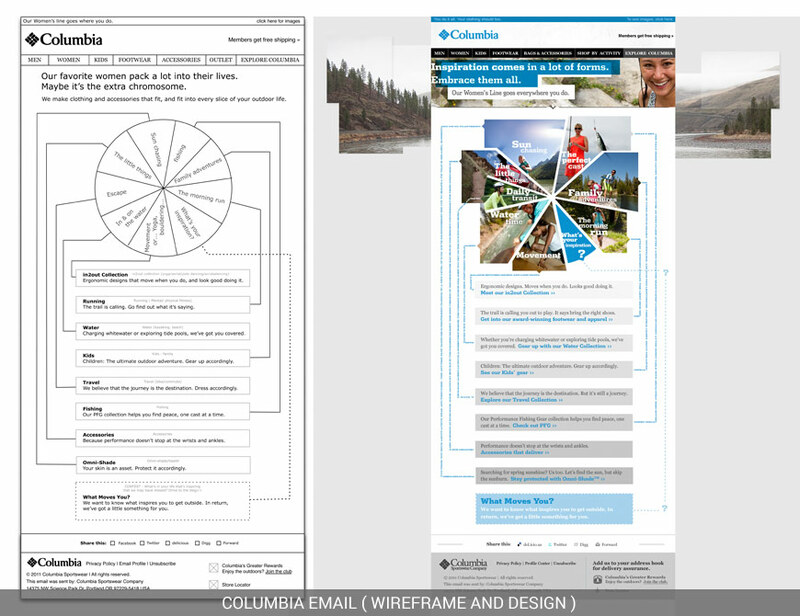 My job was to concept, wireframe and design the email. Research. I worked with merchandizing, copywriting, and marketing to learn which images and information to include. Design. I designed the email using the new spring lifestyle imagery. 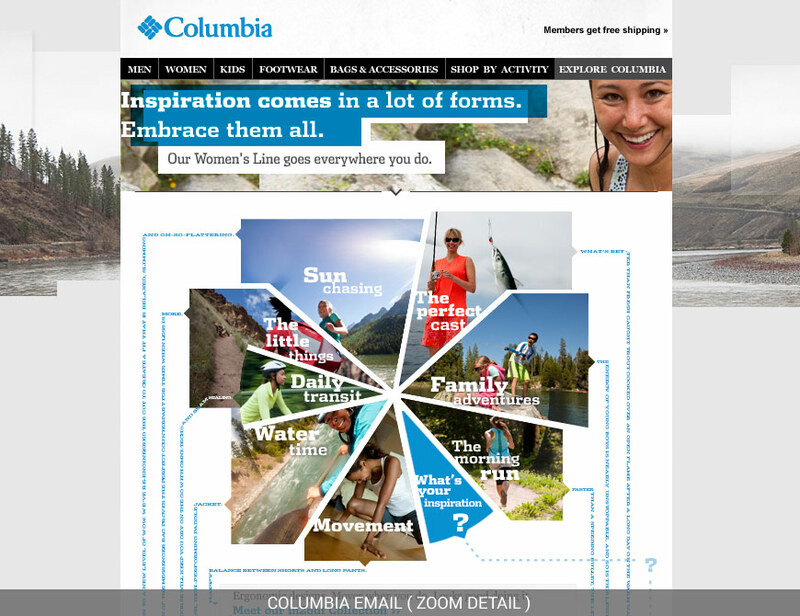 The team was very happy with the design; they thought it reflected a new and creative way to “push” the Columbia brand. The email launched as planned, and performed well.